Are you faced with legal action by another party seeking payment for overdue accounts or some other monetary award? Did this civil action proceed as a result of debt collection, breach of contract, probate matters, divorce, or personal injury litigation? Have you been ordered by the court to pay a judgment? Whatever the reason, a judgment against you can cause serious financial repercussions. It is essentially a court order that requires the total amount owing, including interest and legal fees, and the payment schedule. If you are unable to pay the judgment amount, you may be subject to a garnishment of your wages and/or liens against your property or assets. 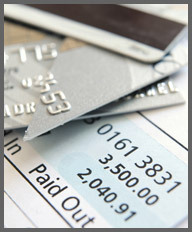 Your course of action may be a Consumer Proposal or Bankruptcy as a means of discharging this debt. A consumer proposal is a contract or legally binding settlement with your creditors, negotiated on your behalf by an administrator (or bankruptcy trustee). It is an agreement for the partial repayment of your total unsecured debt owing – you pay a specified portion or percentage of the amount owed and your creditors agree to forego or discharge the remainder. Note – Unsecured debt refers to any loans or debts that are not tied to an asset or collateral, such as any credit card bills, overdue utilities, taxes in arrears, or student loans (more than seven years old). Filing for bankruptcy is an option to be considered on the advice of a licensed trustee and subsequent to a review of your financial situation and the viability of alternative solutions. Bankruptcy can be a highly stressful and emotional situation – but it may also be the answer to regaining control over your finances. If your unpaid debt is secured, or tied to an asset or collateral such as your house, vehicle, or real estate, your creditors can seize these assets if you default on the loans. When you declare bankruptcy, your assets are placed in the hands of a trustee in bankruptcy who then sells them and distributes the funds obtained to your various creditors. Note – Certain debts are considered to be non-dischargeable even when bankruptcy has been declared. These debts would include domestic support, student loans (less than seven years old), restitution to the victims of crimes, and any debt incurred from a judgment due to a personal injury/death resulting from driving while intoxicated. At Mortgage Intelligence, Natasha Bridgmohan’s team includes consultants qualified in administration of consumer proposals (debt settlement) and matters of bankruptcy (insolvency counselling). If you are looking for guidance and expertise relative to these situations, contact us at 1-866-553-7467 ext 221 or 905-851-8871 ext 221.